In Oklahoma, domestic assault and battery charges are serious offenses that can carry life-disrupting jail or prison sentences upon conviction. However, not every domestic abuse charge should lead to a conviction or significant time behind bars. Fortunately, skilled criminal defense attorneys can negotiate alternatives to jail time for clients charged with domestic assault and battery. Never underestimate the value of high-quality legal representation when facing criminal charges. Having an experienced attorney can be the difference between being convicted and facing the maximum penalties, or having the matter resolved with as little lasting disruption to your life as possible. Criminal defense attorneys who know the relevant laws inside and out can investigate your case and argue for the charges to be dismissed. They can also negotiate with the prosecutor to secure a plea agreement that results in a lighter sentence or a guilty plea to lesser charges. Oklahoma courts can also impose deferred or suspended sentences in lieu of substantial jail or prison time. Deferred sentences allow the court to put off proceedings for up to a decade without entering a judgment. If the defendant complies with the terms of the agreement, the case may be dismissed at the end of the specified time period. 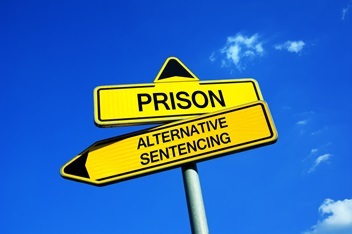 Court-imposed conditions may include supervised probation, community service, and completion of batterers' intervention or anger management programs. Suspended sentences allow the court to suspend all—or part—of a prison sentence in favor of allowing the defendant to serve the sentence as unsupervised or supervised probation. Defendants serving deferred or suspended sentences for domestic assault and battery must comply with the terms and conditions of their probation agreement, which may include periodic meetings with probation officers, maintaining a job, and staying out of trouble. Facing domestic assault and battery charges in Oklahoma? The Berlin Law Firm can help you understand your legal rights and options. Contact us today to schedule an appointment for a private case consultation.